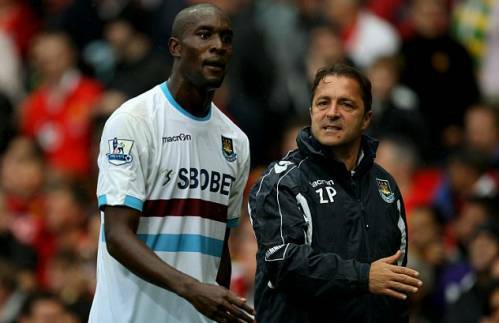 Former West Ham assistant Zeljko Petrovic, who was sacked by the club yesterday, has levelled a particularly bitter parting shot at Premier League, calling the world-wide acclaim for England’s top flight a ‘myth’ and branding the football as both ‘crap’ and ‘shocking’ in comparison with the Bundesliga – where he served as Martin Jol‘s assistant technical coach at Hamburg back in 2008/09. “Everybody has great words for the Premier League but it is a myth. The Premier League is a crap league, it is nothing. In truth the level is shocking. “Every team has just three good players. If you take those players out of the teams then there are only players left who would not be playing in the bottom team in Holland. The fact that Petrovic was axed four-months into a four-year contract after Hammers players complained to the club’s owners about his training methods and ‘arrogant’ personality probably tells you all you need to know about him as an entity. However, the man does have a point. Whilst the burgeoning appeal of the ‘Sky Four, Five or Six’ continue to skew the global perception of the house-of-cards that is the Premier League, it is undeniable that the Bundesliga is blossoming – and in terms of sustained competitive parity, financial solvency and supporter-centric sensibilities, the German league is undoubtedly far superior. The argument over whether the average standard of football is any better is, of course, completely subjective – but it’s worth noting that, whilst we are continually reassured by Murdoch’s minions that our league is unquestionably ‘the greatest in the world’, it’s obviously not a view held by all those who aren’t standing quite so close to the nub. he was working at west ham who are lets be honest a bit shite this year so It is no great surprise that he is not seeing the best of the league. Also who are those three good players at west ham I can only name one. The sad thing is he is correct and it is getting worse. The Sky Sports hype train has people without real football knowledge falling for it but they are deluded.